WARNING: Dirty Beginning is a prequel novella and ends on a cliffhanger. This is a DARK and dirty romance series. Dirty Obsession, the full-length novel that follows, releases January 2018. Matteo Carini is used to getting what he wants, and he's decided he wants to take me. He was never supposed to enter my life again. He was obsessed with Nina, my best friend. He stole her. He did unthinkable things to her. But she chose his brother instead. Now he thinks I'm the key to getting Nina back. I'm used to dealing with the worst of the worst. I lock away criminals for a living. I can handle Matteo. I don't care he's the ruler of the Carini Empire. I won't let him take Nina. He wants Nina, but he's a patient man. He'll steal me, break me, to get her back. Even if I become addicted to the darkness. I always knew that there was evil in this world. I just didn't realize evil would ever come for me. Caspian Conti is my savior and a monster. I’m the princess of darkness. I’m used to dealing with monsters. My father was the devil. My brothers are no saints. My ex sold me as a slave to a man who I thought was the biggest monster of all. None of those men are as dark as Conti. I thought he would save me. Instead, he turned me on to the darkness. Now, I have no chance at escape at all. I no longer care about escaping. Revenge is all I seek. Revenge can set me free. Revenge is greater than love. 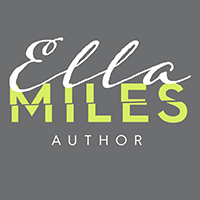 From USA Today Bestselling Author Ella Miles comes a new DARK romance series! This collection includes: Dirty Beginning, Dirty Obsession, Dirty Addiction, Dirty Revenge, and Dirty Epilogue.